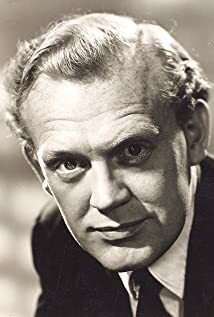 The British actor Joss Ackland has been a favourite of mine for many years. He has a rich, sonorous voice well-suited to short story readings, and handles eerie material well. At the moment, over at the BBC iPlayer, you can hear a series of 'Ghost Stories' Ackland recorded in 1986. The selection is interesting, because it is strongly biased toward modern (by Eighties standards) writers, using a broad definition of the genre. The oldest story is 'Midnight Express' by Alfred Noyes, which first appeared in 1935. (Noyes is an interesting character in his own right, not least for his role in the scandal over Roger Casement's diaries.) The other stories I've heard thus far are Ray Bradbury's 'The Crowd', 'Laura' by Robert Aickman, and 'A Little Place Off the Edgeware Road' by Graham Greene. Coming up this weekend is 'The Tower' by Marghanita Laski. All are post-war stories, and all stretch the definition of ghost story. Greene's is arguably the most conventional, while in Laski's story there is no actual ghost as such. 'Midnight Express' is different again, with its eerie illustrated book that haunts the protagonist's dreams. All in all, it's a fine selection, with stories good enough to deserve wider exposure, but not over-familiar. They are of course abridged to fit a narrow, 15 minute slot, but again I think this was handled sensitively. 'Laura', for instance, does not suffer from a little trimming. So, if you want a bedtime listen, give them a try.